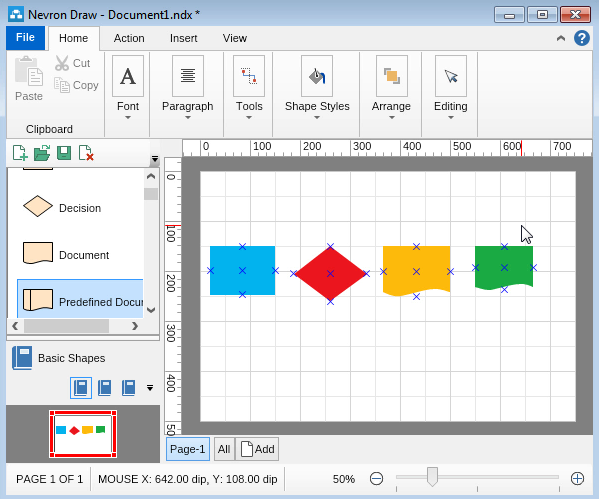 Nevron Draw is a powerful diagram designer with a large set of functionalities that allows you to arrange your shapes any way you like. 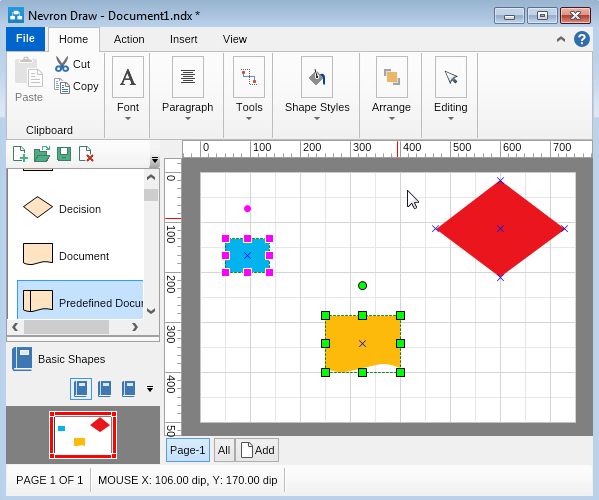 To make this kind of operations even easier the developers of Nevron Draw have created a differentiation between the shape, marked as Anchor (main) Shape and the rest of the selected shapes. 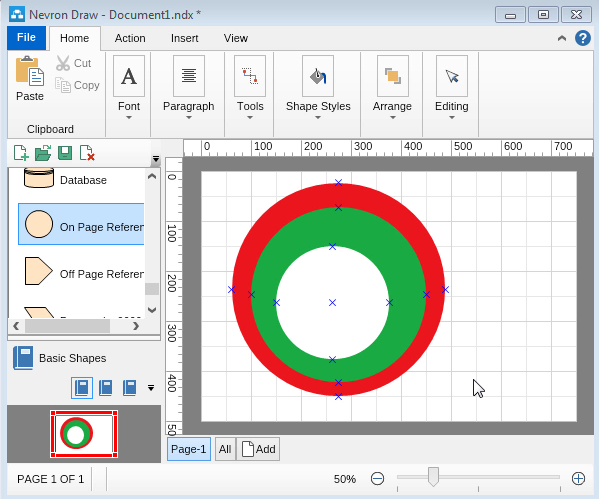 The Anchor (main) Shape’s position and size are used as a source of information by Nevron Draw and when you request an action (such as align or resize) to be completed, it is all done based on the Anchor (main) Shape. This will be the shape surrounded by pink squares (all other shapes will have green squares when selected. Why do you want to know which is the Anchor (main) Shape? Let’s say you have several shapes one on top of the other. If you would like to group them, you need to make sure the order you select them in, is exactly the order you would like them to. First select the shape you would like at the back and then while holding the “Ctrl” key work your way up. Last one selected should be the shape which will be on top. 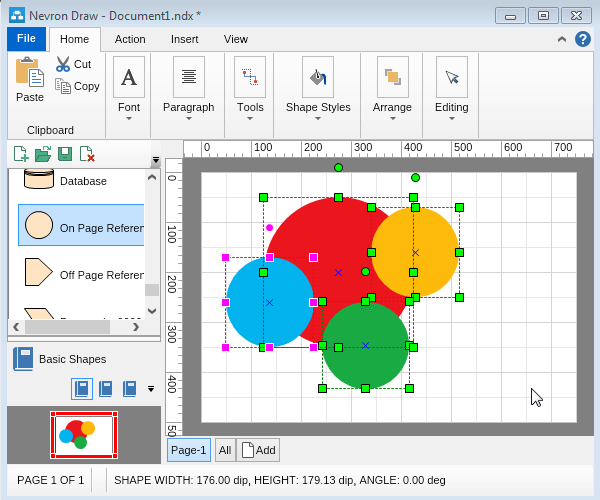 If you have made a mistake selecting them or simply selected them all together at once by dragging the mouse, you might not get the desired result and some shapes might be sent behind the others.